Many were sceptical about the appointment of Brain Schmetzer as a replacement for Sigi Schmid. Regarded as one of the greatest coaches in the MLS,Schmid will always be a hard man to replace. However, Schmetzer seems to be doing a fine job so far. Since taking over the club in August 2016, he was under a lot of pressure to deliver instant success, and this was in the form of qualifying for the MLS Cup play-offs and potentially winning the title. He seems to have done everything asked of the team and the club’s recent form has been a major factor in Seattle Sounders sneaking in at the last moment. 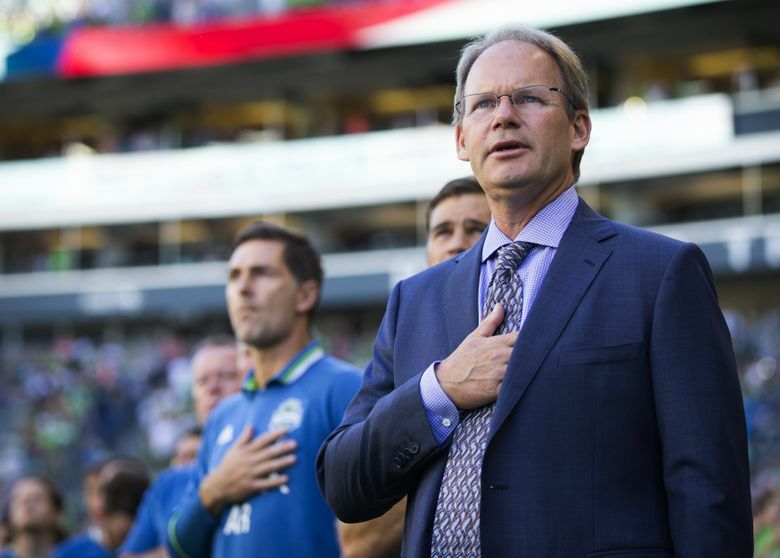 Seattle Sounders recently appointed Brian Schmetzer as the interim coach of the team. This was following the exit of long-standing coach Sigi Schmid from the club. Even though Seattle are not happy with the waySchmetzer is only on an interim basis, the club have little choice left at the moment. They have to find a way to reinvigorate the team in the remainder of the season so that they could at least finish in the play-offs. At the moment, Seattle Sounders are struggling in the eighth spot but only four points away from the play-offs. In order for the club to recover their league position,Schmetzer is aware that he needs to have the help from his best players and this definitely includes Clint Dempsey. The former Tottenham and Fulham star was recently sidelined with suspected irregular heartbeat. This serious condition could threaten his career. The complex nature of the situation also has prevented many from speaking about Dempsey’s potential return date.Schmetzer was also of the same opinion when he was put forward the question of Dempsey returning to the squad. He said that the doctors were a more reliable source of information and he suggested the media to ask the questions at the physicians. Seattle Sounders have experienced yet another defeat in their Saturday game against LA Galaxy. This is the 10th defeat of the season so far, and Seattle Sounders will be frustrated by the outcome of the match. Indeed, this was a game that they managed to dominate from the start and failed to score a goal. This has become a usual pattern for Seattle Sounders where they manage to take control of a game without being able to score a goal. Against LA Galaxy, Seattle Sounders had 22 shots on goal with 16 of those coming inside the LA Galaxy box. With these kinds of occasions, they should have at least get a goal. Unfortunately for them, it was LA Galaxy that opened the scoring in the opening stage of the game. Indeed, Robbie Keane managed to score in the 15th minute to give LA Galaxy the lead. Since then, Seattle Sounders took control of the game and created opportunities one after the other. Seattle Sounder’s coach SigiSchmid admitted that it was a frustrating defeat. He said that his team played well and created some good opportunities but failed to score the important goals. He said that he had nothing to complain as his players gave everything on the pitch. He believes that if they continue to play like this, they will sooner or later experience a change in their fortune. Seattle Sounders general manager Garth Lagerwey has indicated that the team will wait until the summer before making any investment decision. He said that they are investigating a couple of players but will need to continue watching them before making any transfer dealings. Sounders head coach SigiSchmid also said the same thing to the media. Schmid told reporters that he will have to sit down and analyze each player before making a decision about signing. He said that he is not going to buy new players just for the sake of buying and that the new players should really add value to the club. Shinji Kagawa is starting to be an influential player again for Borussia Dortmund and is starting to show glimpses of what he had done in his first tenure at the club. Kagawa had emerged as an absolute belter of a player at Dortmund in that two-year tenure and had attracted big clubs with his classy style of play. He signed for Manchester United in 2012 which was thought to be a career defining move for him, but, it turned out to be otherwise as he failed to progress any further at Old Trafford and probably went in the backward direction instead. When he rejoined Dortmund the previous summer, he was only a fraction of the player which he was when he had left the club and there were concerns among his well wishers regarding where his career was going. But, of late, that is in 2015-16 Season, it’s been a different story for Kagawa. It would probably be an overstatement to already say that the Japan international is at his best now, but, it can be safely said that he has been playing far better this season than he had been playing in the past couple of seasons. The Dortmund Chairman Michael Zorc is also a happy man to see Kagawa delivering. He applauded the playmaker while speaking to media recently. The Major League Soccer is still not right up there in terms of the game standard, but, the way it is developing every season, the time is not that far away when it will start giving tough competitions to the big leagues in Europe. The fan following of some of the teams in MLS is just remarkable. Seattle Sounders probably have got the most passionate fans. In almost every game that they play at their home stadium, it happens to be jam packed. The average no. of people that were present during the home matches of the Sounders the previous season was more than 43000 and that’s not bad at all. It’s actually better a number than what some of the clubs in Premier League achieve.